Bayshore Village is a modern, tranquil, gated 55+ community, nestled around two nature preserve areas featuring palm tree lined streets. Relax around the community pool with your neighbors, enjoy interesting coversations, cement lasting friendships, or participate in one of the many pool activities arranged just for you! Not in the mood to swim or sunbathe? We have a large Wi-Fi equipped clubhouse, holiday celebrations, dances and many other activities to enjoy. Now is the time to enjoy life. Come make Bayshore Village your home in paradise! 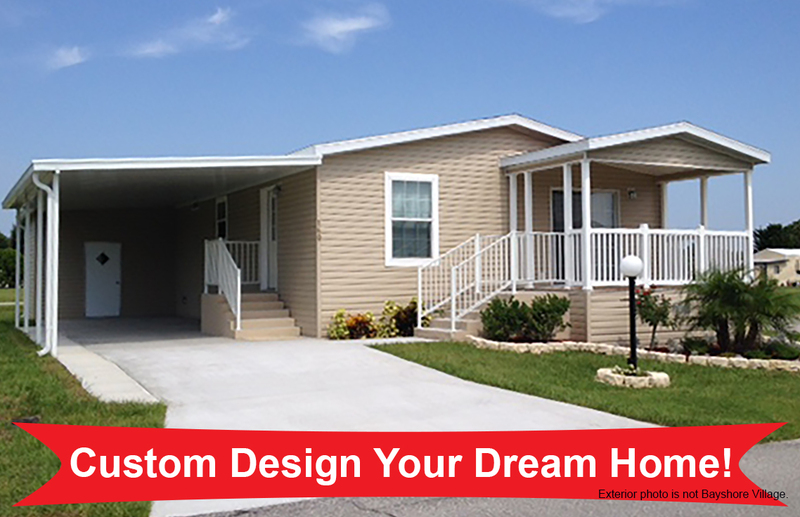 Design the home of your dreams now at Bayshore Village! Why settle for someone else's dream when you can have your own? Design a brand new home for one of the vacant lots in Bayshore Village. Design your dream home with one of these manufacturers: Skyline, Jacobson, Palm Harbor, Clayton, Homes of Merit and many others! Call us today at (239) 543-5444 for more information and to get the process started! The City of Palms Youth Choir presents "Every Measure Counts"
Lots of storage and beautiful cabinets! Great home, great community, great price!